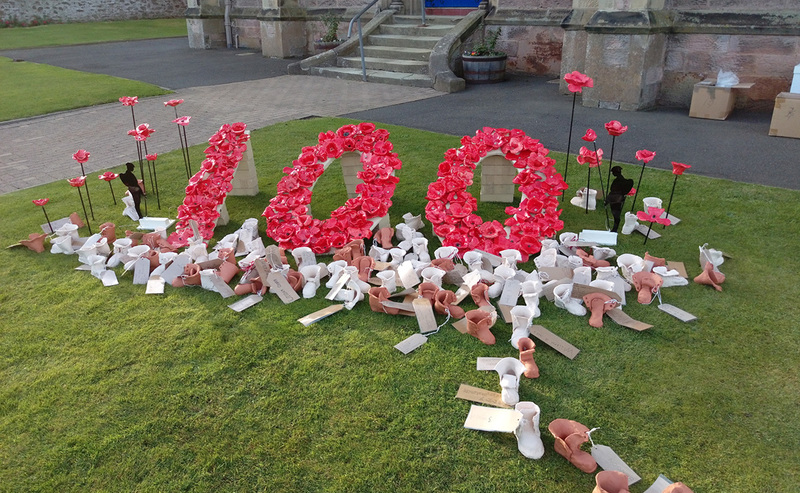 Congregations across the Church of Scotland have come together to mark the Centenary of the Armistice of the First World War with beautiful cascading poppy falls created by church members, local communities and ex-servicemen and women. Churches have been contributing photos of their Remembrance Day displays to a photo album on the Church of Scotland Facebook page which, at the time of writing, has received over 125 photographs. 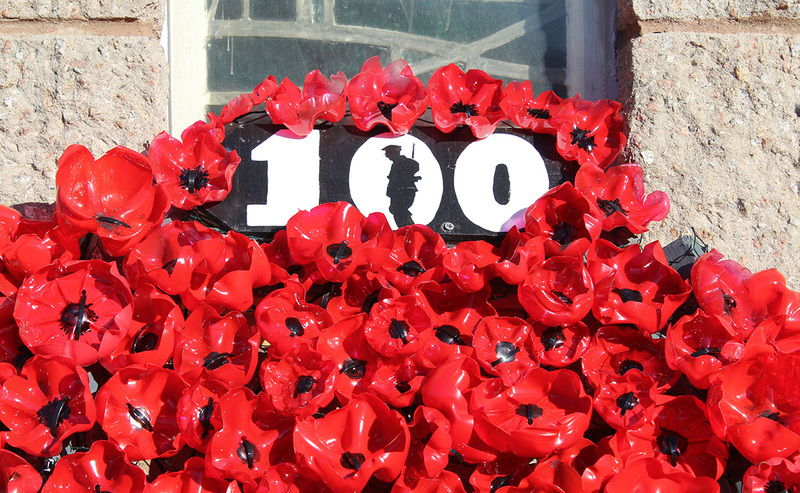 The displays range from recycled plastic bottle ends to knitted and crocheted poppies, and have been sent in from churches as far south as Guernsey to Brora, Sutherland, in the north. St Andrews Church in the Grange in Guernsey has been working as part of an outreach project with prisoners and ex-offenders. Many of the crochet poppies in their display were created by an ex-offender. “I showed it to my young ex-offender who crocheted all of the small hanging poppies, the cross and the doves. “She cried when she saw it and said she felt so proud. 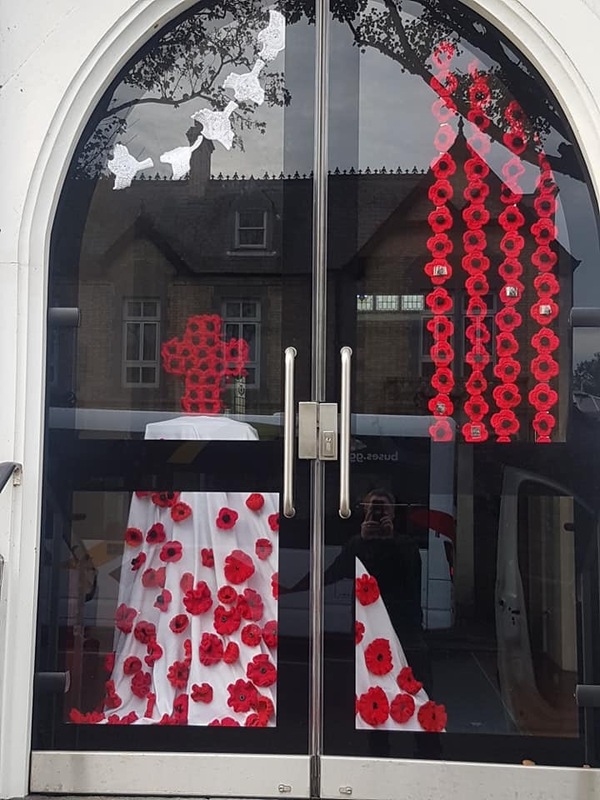 Eyemouth Parish Church in the Scottish Borders has once again had the local high school creating ceramic poppies for display at the front of the church. However, this year they also made ceramic soldier boots – one for each name on the war memorial. Each boot has a tag on it with the name and the details of one person commemorated. 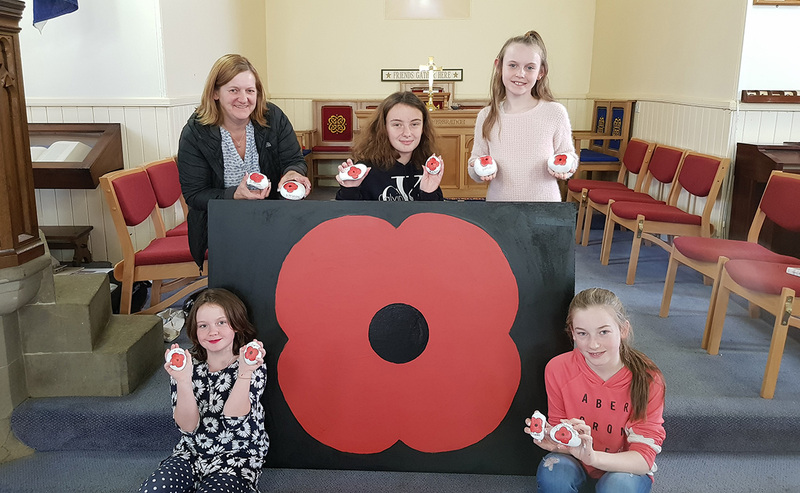 To celebrate 2018’s Year of Young People and the Year of the Poppy, some young people of Pardovan Kingscavil and Winchburgh linked with Abercorn churches made a memorial display at Winchburgh with a poppy pebble for each person named on the church’s war memorial. Fenwick Parish Church in Ayrshire created the ‘Poppyman’ four years ago to commemorate the Centenary of the start of the First World War and it has made an appearance locally every Remembrance Day. To see all of the photos that have been submitted this year, please go to our Facebook page. If you haven’t had a chance to send us your submissions yet, you can still email them over to us at the Communications Team.